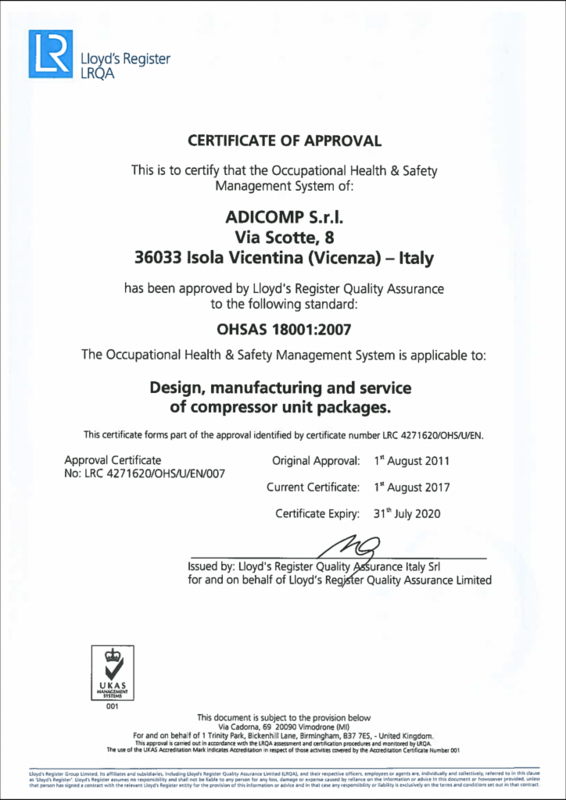 One of the main aims is to provide a very reliable high-quality product. 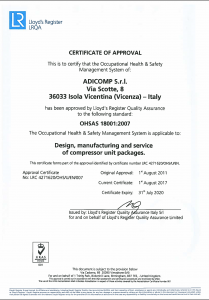 The company is certified ISO 9001-2008. 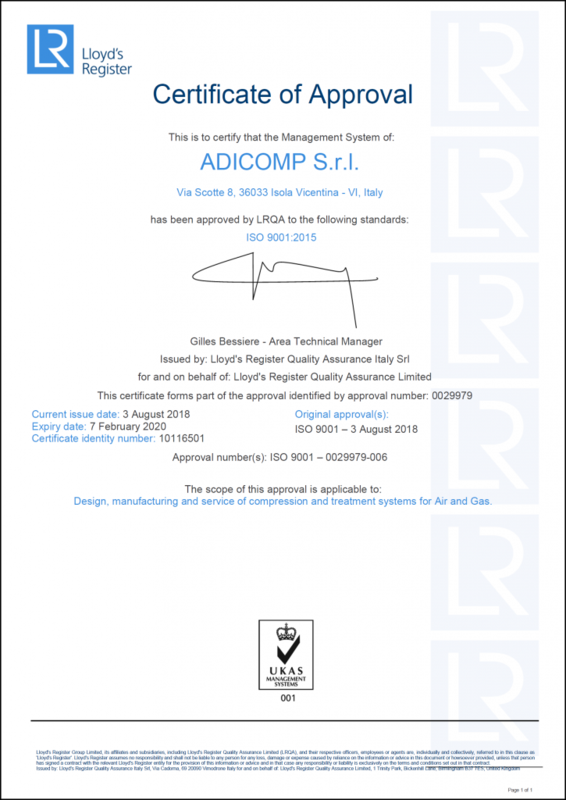 All the products are built in compliance with EU standards (CE marking) and also ATEX on request. 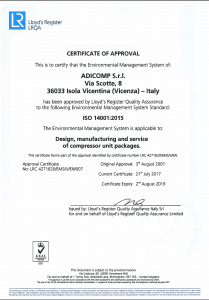 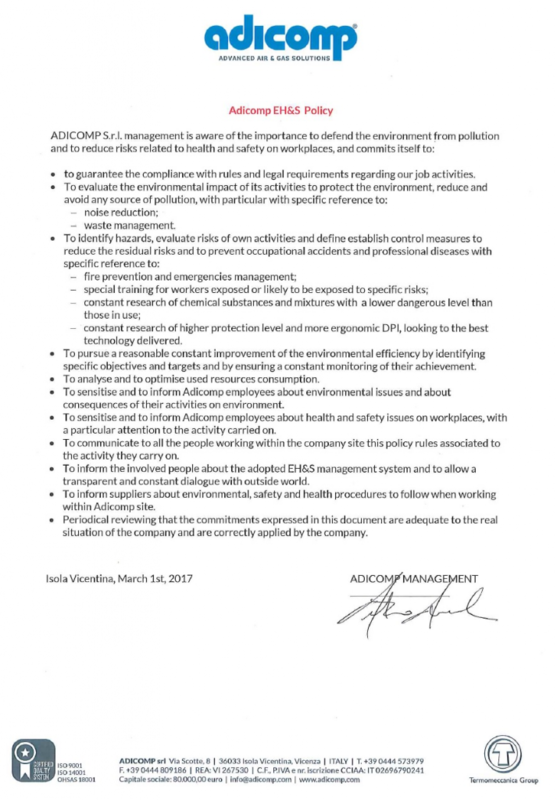 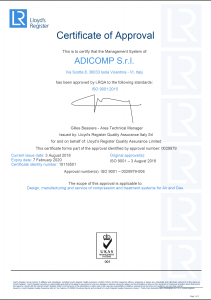 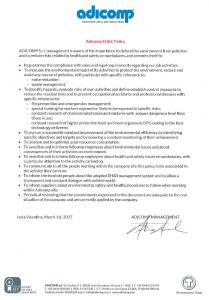 Adicomp operates in a continue improving, adequacy and environmental management system overview and takes care of its employeds safety and health. 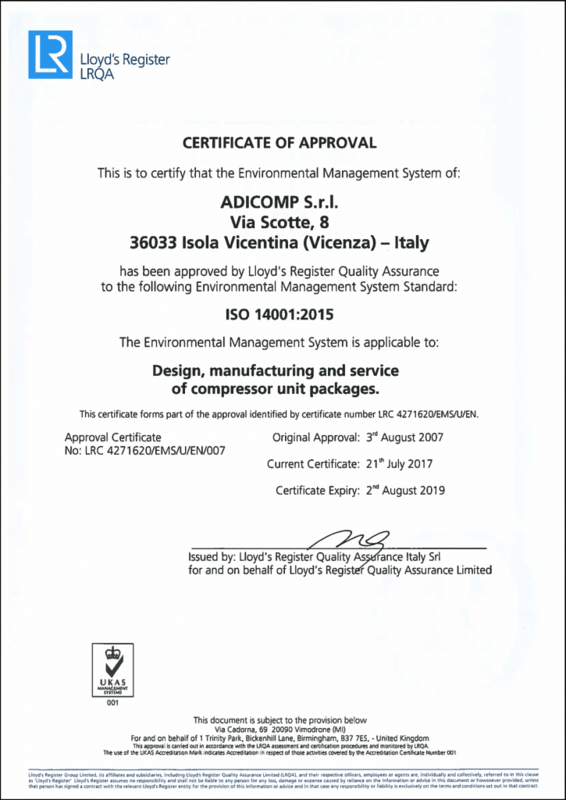 The company is certified ISO 14001-2004 and OHSAS 18001-2007 (international certification).